Emergency Wake Up at 3am? Sounds Like The Cheatriots Stike Again | "IT'S A STEELERS WORLD"! You know what? I have tried to give the New England Patriots as much respect as due. But every time they become threatened with adversity, they always go back to their old “cheating” ways. Although the National Football League may not find that opposing teams headsets going out during a game a form of cheating..Knowing that the organization has complete control over that issue, it’s probably safe to say that the “false alarm” pulled at the Pittsburgh Steelers hotel may go over as “just a glitch”. But I’m here to claim..”Bull Shizzle”! Why is it there is always a certain type of controversy surrounding the Patriots? Why is it that every time they enter the playoffs and/or Super Bowl there is some sort of scandal revolving around their victory? Is it because the NFL has something against New England? No.. It’s because the NFL and Commissioner Roger Goodell has a hard-on for them. Regardless of what they do wrong, the NFL and the media always want to paint a picture of what they do right..which is cheat. 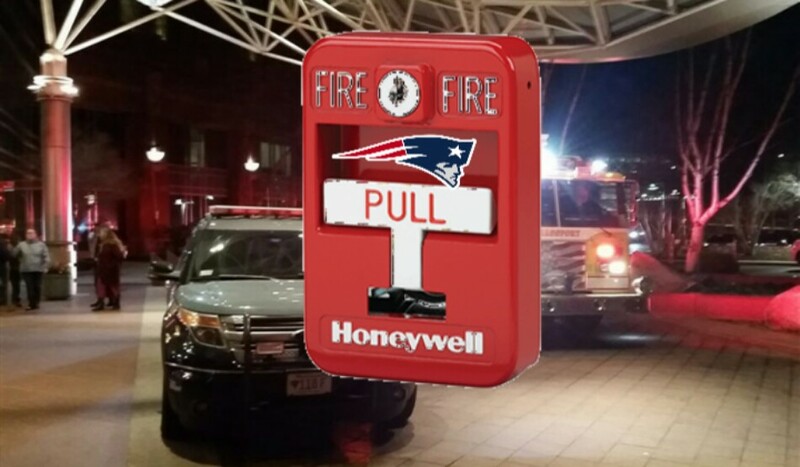 And this latest incident with the false alarm pulled at the Steelers hotel just solidifies that. Along with the filming of opposing team’s practices, snow plowing fields to make their kickers job easier, the tuck rule that has Raiders fans cringing every time it is “not” upheld for them, the failing headsets that they claim to have no knowledge of why it happens..Now they have the false alarm at the same hotel the Pittsburgh Steelers just happen to be staying it.